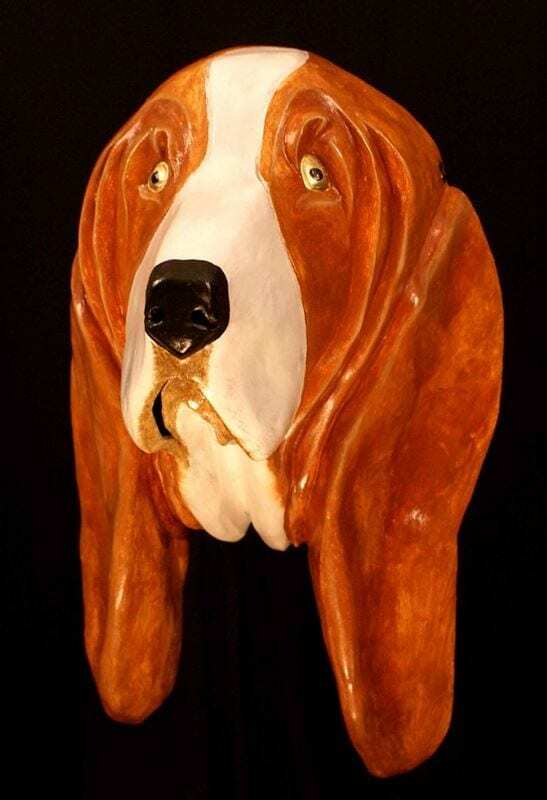 With its unmistakable large, low-hanging ears The Basset Hound has inspired yet another one-of-a-kind animal mask of superb quality. Known for their excellent hunting and tracking abilities, feel this energy surround the wearer and guide you to sniffing out new levels of success. Whether displayed as a decorative mask or worn as a costume mask, this piece is sure to inspire many lovable creations to come. Place an order for a mask today, and let’s hunt for greatness! The custom mask making process involved sculpting the mask in clay, creating a plaster mold and then making the mask in neoprene. This dog mask was made for Meet the Breeds in 2009 by master mask maker Jonathan Becker.